The Taiwanese use the greens off every edible plant for food. We were wowed by the heaps of greens at markets. It's a paradise for the kale-weary. 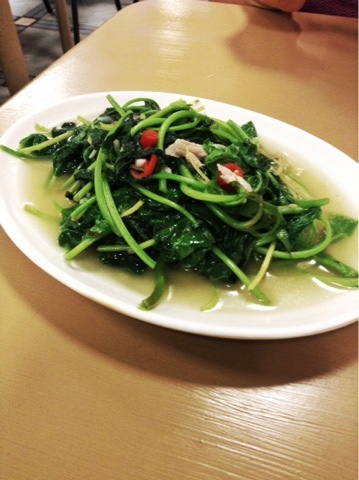 We feasted on these stir-fried sweet potato leaves one night while wandering hungry in Hualien. The stems had a crunch almost like fried green garlic scapes.